| Knowledgebase - What is a Bitcoin wallet? All Categories ​>​ Knowledge Base ​>​ What is a Bitcoin wallet? We all have been using fiat currency to pay for everything we want on a daily basis. We store this money either in the banks or in our wallets. However, Bitcoin, on the other hand, is a virtual cryptocurrency which is entirely decentralized. Hence, there are no banks to store Bitcoin. The only way to store Bitcoin is by using software called a Bitcoin wallet. Let us now understand how the wallet works. You cannot really store Bitcoin in a wallet. The wallet only contains the address where your virtual funds are stored in. The Bitcoin wallet comprises of two different elements, a private key, and a public address. The public address is used to receive any funds and the private key is used to send funds out of the wallet. Even though a Bitcoin wallet is needed to do just two tasks, they come in two different types. These wallets contain a private key and are connected to the internet, thereby helping us to transfer funds at any given time, they are called hot wallets. 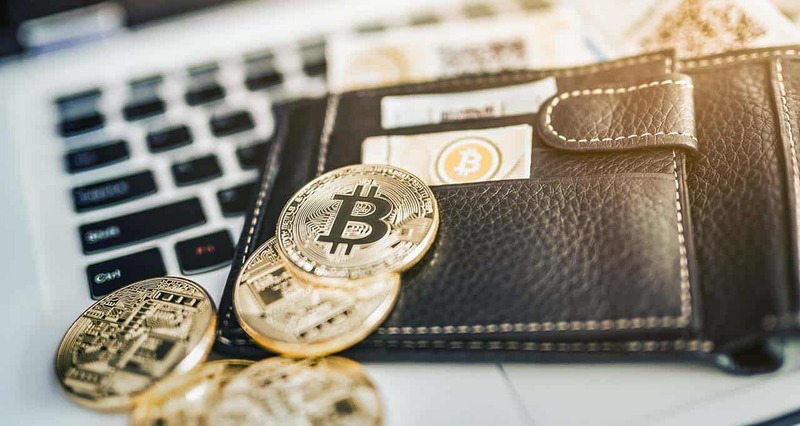 As these wallets are always connected to the internet, they are the most vulnerable type of wallets. They are usually used to store very small amount of Bitcoins. Usually, only the funds that are required for trading or any other transfers are stored on hot wallets. Software wallets: These wallets can be downloaded to your mobile devices and then can be used to send Bitcoin from them at your convenience. Web wallets: These wallets can be used on any device that is connected to the internet. There is no need for any software to be downloaded either. blockchain.info can do both and is the #1 Bitcoin Wallet. Bitcoin wallets that are not connected to the internet are called cold wallets. They can be thought of as cold storage that many people use to store precious items such as jewelry, etc. As they are not always connected to the internet, they have an extra layer of security. Thus, people use these wallets to store large amounts of Bitcoin. Hardware wallets: These wallets are physical wallets that can be used to store Bitcoin in. They are highly secure and require a third party tool for sending and receiving Bitcoin. However, they are not free to use and you need to pay upfront in order to buy one of these devices. Eg: Trezor, etc. Paper wallets: Paper wallets are the free alternatives of the hardware wallets. One can use an online or offline paper wallet generator and generate a new wallet, print it on a piece of paper, send funds and then store it in a safe. Though paper wallets are not as secure as the hardware wallets, they usually get the job done for most of the people using them. Bitcoin is a virtual cryptocurrency that is not controlled or maintained by any banks. Hence, you become your own bank and it is your responsibility to store Bitcoin in a safe place. The best place for you to store your Bitcoin is on a hardware wallet. So if you have the money to buy one of these devices, you must get yourself one.